Early spring is the perfect time to treat complexion to a deeply cleansing Green Masque. The ingredients in this classic European recipe are great for reviving a dull, tired complexion after a long, hard winter. Alfalfa – The chlorophyll that gives alfalfa and other green plants their color is the secret of this mask’s powerful detoxifying effects. Because it’s packed with antioxidants, including vitamins A, C, and E, chlorophyll helps reverse the aging effects of free radical damage. The various B-complex vitamins in chlorophyll contribute to healthy skin in a range of ways from stimulating circulation to fending off acne. Chlorophyll’s anti-inflammatory properties also play an important role in the cultivation of clearer, younger-looking skin. Peppermint – In addition to chlorophyll, peppermint contains menthol. The cooling effect of menthol helps soothe itchy or irritated skin. Menthol also helps control excess oiliness and protects the skin from bacterial infections. These properties, together with the anti-inflammatory effect of chlorophyll, make peppermint an excellent option for acne-prone complexions. Oatmeal – This healthful grain is an ideal treatment for all skin types. A gentle exfoliant, oatmeal helps remove old skin cells so fresh new ones can emerge. Beta glucan, a type of carbohydrate found in oatmeal, binds water to the skin, protects against irritants, and promotes healing. Studies suggest that beta glucan molecules are small enough to penetrate the skin surface and bring moisture to emerging cells in its deeper layers. Oatmeal also contains mild natural cleansing agents, anti-oxidants, and anti-inflammatories. Oatmeal masks are helpful for a variety of skin conditions, including acne, rosacea, eczema, and sun damage. The Green Masque can be incorporated into a standard facial or applied between treatments to extend their benefits. It’s a safe, effective way to restore springtime freshness to your face. Treat wintertime skin to the extra pampering it needs with a moisture-rich, nutrition-packed carrot mask. Cold winds, icy temperatures, and dry indoor air can leave the skin dry and dull—especially on our face. An organic mask that contains carrots is a completely natural and highly effective way of restoring your complexion’s radiance and resilience. Beta carotene – Scientific studies suggest that this powerful antioxidant helps to counteract the damaging effects of sun exposure and environmental pollutants. In addition to slowing the development of fine lines and wrinkles, the healing properties of beta carotene reduce the irritation and itchiness of dehydrated skin. It also returns suppleness by promoting faster cell turnover. Beta carotene is the perfect pick-me-up for pale wintertime complexions. The red and yellow pigments it contains contribute to a warm, even skin tone. Vitamins C & E – Like beta carotene, these antioxidant vitamins play an important role in repairing the cell damage caused by aging, UVA radiation, and environmental toxins. B-complex of vitamins – Folic acid, thiamin, pantothenic acid, and other B vitamins are vital to healthy cell metabolism. Vitamin K – Research on this vitamin indicates that it protects the skin’s elasticity and improves the appearance of dark under-eye circles. Minerals – Carrots are also loaded with minerals, such as potassium, manganese, and phosphorus that play an important role in the formation of new collagen cells. This revitalizing combination of nutrients is beneficial to every skin type—both as a facial treatment and as part of a healthful wintertime diet. In my native Romania, our springtime health and beauty routine includes eating plenty of green salads. The antioxidants in lettuce, spinach, and other greens cleanse our body of free radicals—unstable molecules produced by environmental toxins, inflammation, and other stresses. Free radicals ultimately lead to cellular damage, aging, and disease. By neutralizing these harmful molecules, plant-derived antioxidants promote the growth and repair of skin cells. The arugula in this salad is packed with the antioxidant vitamins A and C. In addition to stimulating collagen renewal, these vitamins reduce inflammation, one of the prime causes of visibly aging skin. The addition of walnuts provides another healthy serving of antioxidants from omega-3 oils. Omega-3s help prevent wrinkles and improve skin texture by reversing free radical damage, stimulating blood circulation, and stabilizing hormone levels. The vitamin E in the walnuts and the shallot also helps nurture smooth, supple skin. Whisk together the oil, vinegar, and chopped shallot in a small bowl. Season with salt and pepper. Mix the arugula and walnuts in a large bowl, drizzle with dressing, and toss. Refresh your complexion this spring with antioxidant-rich apples and walnuts. For centuries, the traditional diet and lifestyle in countries around the Mediterranean Sea – parts of Italy, Greece, France, Spain, Portugal, and northern Africa – have helped the beneficiaries of this naturally healthy way of life to stave off obesity, cardiovascular disease, diabetes, and other degenerative diseases and symptoms of aging. Many people are surprised to learn that an equally old and wonderfully complex Mediterranean tradition exists in my native Romania. The long intermingling of indigenous peoples with settlers from the Greco-Roman and Ottoman Empires has enriched Romania’s national identity and culture with its own unique version of the Mediterranean spirit. Perhaps the most famous legacy of early Roman colonists is Romania’s enduring reputation as the Mediterranean World’s original vacation hotspot. Ever since Roman colonists first capitalized on the local custom of bathing in the mineral-rich waters by building the country’s first health resorts, Romanian spa hotels have been famous as fashionable retreats for Europe’s ailing, tired, and bored elite. What made these summer getaways so popular with sophisticated Europeans was the Old World elegance of the Romanian spa experience. Instead of submitting to a rigorously ascetic health regime, the rich and pampered could restore their physical, mental, and emotional equilibrium while also indulging their taste for luxury and sensual pleasure. Even today, Romania’s sultry summer weather, lush vineyards, and long stretches of fine white sand continue to draw favorable comparisons to the French and Italian Riviera. The long, hot month of August is the perfect time to cultivate the health and beauty benefits of a traditional Romanian spa vacation. The following Old World health and dietary practices will provide you with the fundamental building blocks for healthier relationship with food and a more elegant and relaxed way of life. 1. Add more plant-derived foods to your diet. Fresh fruits and vegetables, grains, beans and other legumes, and nuts are the primary food sources in traditional European diets. Rich in antioxidants including vitamins A, C, and E vitamins, phytonutrients, and omega-3 oils, these cuisines are great for your waistline, your heart and circulatory system, as well as your complexion. c.	An inventive sandwich like this Greek salad on a bun. 3. Take time to savor your food. Multitasking at mealtimes not only diminishes the pleasure of eating but also encourages rapid, mindless consumption of too many calories. Do your digestion, your figure, and your senses a favor. Stop eating on the run or out of a carton standing in front of the refrigerator – and turn off the TV. Set the table as you would for an honored guest. Arrange your food nicely on a plate, down at the table, and pay attention to the interplay of tastes, aromas, and textures that make a meal delightful sensory experience. After you’ve finished eating, contemplate a vase of flowers or listen to soothing Classical music as you sip a glass of wine or a cup of tea. In Romania, this is our version of meditation! 4. Stick with high-quality foods. This rule applies to splurges as well as dietary staples. Cheap store brand desserts and snacks that are full of trans fat and chemicals are not only unhealthy, but also pretty unappetizing compared to treats made with real ingredients. Low-fat foods can be equally deadly. Most diet desserts and snack foods are overloaded with sugar to compensate for the lack of fat, which makes them both unsatisfying and addictive. 5. Maintain a healthy lifestyle, but give yourself a break now and then. Eat moderate portions of nutrient-dense foods and exercise regularly. But keep in mind that an ice cream cone on a hot day or skipping the gym to have coffee with a friend isn’t going to make you fat and flabby overnight. Over the past 30 years, economic and social changes in many European countries have brought not only the advantages of modern life but also the health problems associated with America’s high-stress fast food culture. That is not to say we all should throw away our modern conveniences and move to a cabin in the woods. Instead of going to extremes, find a comfortable middle ground. Choose the traditional health practices and 21st scientific principles that fit your lifestyle, physical condition, and personal goals to create a disciplined but flexible plan for living a long and beautiful life. During the extreme cold and dryness of mid-winter, you may find the lighter moisturizers that keep your skin soft and hydrated in more temperate weather falling down on the job. That’s why your wintertime skincare regime should include extra doses of natural lubricants and emollients. A hydrating serum: Give your day cream a boost by wearing a super-hydrating organic serum underneath it. Look for high-powered antioxidant and moisture-binding ingredients such as white tea, silk amino acids, seaweed extract, and vitamin E, along with healing herbs and essential oils. A day cream rich in natural moisturizing factors (NMFs): NMFs are the free amino acids and other compounds such as lactic acid, urea, and salts found in the skin’s stratum corneum (outer layer) that attract and hold moisture. 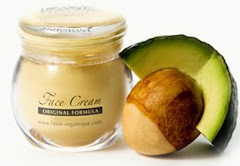 Plant-derived oils and humectants (e.g., shea butter, avocado oil, jojoba oil, squalane, vegetable glycerin, natural sorbitol, hyaluronic acid) are structurally similar to NMFs and therefore more easily absorbed into the deeper epidermal layers and better tolerated than synthetic moisturizers. In addition to their superior ability to soothe and protect rough, chapped skin, these natural lubricants contain a host of antioxidants, phytonutrients, and antimicrobials that repel pathogens and speed healing. Don’t fall for the popular myth that plain, old petroleum jelly is the best heavy-duty lubricant and moisturizer around. This and other cheap crude oil derivatives (baby oil, etc.) not only contain potentially irritating impurities, but also coat the skin with an impenetrable layer of grease that actually repels moisture. A super-rich nighttime repair cream: A luxuriant night cream can help retard the moisture loss that occurs when skin temperature rises during sleep. Some studies also suggest that increased nighttime blood flow may improve absorption of small-molecule ingredients, such as peptides, that contribute to cell repair and collagen renewal. Lavish your parched, tired skin with a premium face cream full of buttery all-natural emollients and multi-action rejuvenators, including pearl powder, pomegranate seed extract, and Co-Q10 enzymes. As colder weather sets in, our natural urge to curl up on the sofa with a big dish of our favorite comfort food can often become overwhelming. One of the easiest and most delightful ways to fight off a case of the winter blahs is to add a healthy serving of pink grapefruit (Citrus grandis) to your diet and your skincare regime. Get a jump on seasonal stresses this November with the perfect fruit. Pink grapefruit is a delicious way to consume essential vitamins and minerals and to increase your intake of flavonoids, cartenoids, and other potent disease-fighting phytonutrients. To get these nutrients into your bloodstream without delay, you should eat pink grapefruit (and other fruits, too) at least two hours before or after a meal. While eating this wonderful fruit first thing in the morning is optimal, its healing powers aren’t confined to the breakfast table. A mood-lifting scent—The refreshing fragrance of pink grapefruit peel essential oil helps banish the seasonal blues. An immune system booster—The high vitamin C content of this nourishing citrus fruit strengthens resistance against colds and flu. Anti-aging and health benefits—Grapefruit’s antioxidant properties help repair free radical damage, detoxify cells, and improve cardiovascular health. In addition to its potassium soluble and fiber (pectin) content, the pink variety contains lycopene, a vitamin A precursor that according to a Harvard-based Nurses’ Health Study and Health Professionals Follow-up Study may not only help protect artery walls from the damaging effects of cholesterol, but also reduce the risk of stomach, throat, and several other cancers. A safe, gentle skin toner and blemish fighter—A plant-derived antiseptic, pink grapefruit oil helps control the bacteria and excess oil that promote acne breakouts. 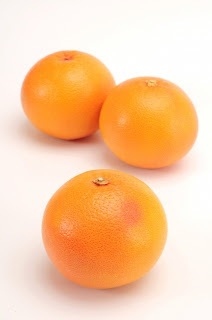 Cellulite relief—In your diet and as a topical skincare treatment, pink grapefruit stimulates lymphatic drainage, reducing the orange peel look of congested tissues. This month is the ideal time to start enjoying the multiple mental and physical benefits of pink grapefruit. As a health food, skincare ingredient, and aromatherapy treatment, it’s an all-natural prescription for a happier and healthier winter. Add pink grapefruit essential oil to your facial care regime to control sebum without drying your skin.